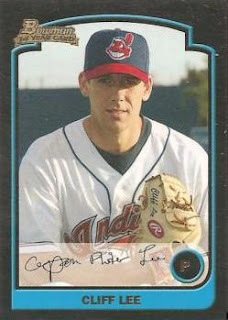 Indians Baseball Cards: Lee snags a few 'treats' of his own! He is by far-and-away the lead player for the AL Cy Young award this year, too. I may be giving away some pretty cool treats this year via the Tribecards blog, but I have to admit, they are nowhere near these ones!! lincecum just won MLPA NL Outstanding Pitcher of the year, congrats to them both!